Sewing machine feed dogs are metal teeth-like ridges that emerge from a hole in the throat plate of a sewing machine. Feed dogs move as you sew, gently gripping the bottom fabric to help it pass through the sewing machine and produce a high-quality stitch. The feed dogs are visible near the bottom of the photo on this page, just underneath the machine's presser foot. Are the Machine's Feed Dogs Always Visible? While nearly all sewing is done with the feed dogs up, and visible, darning and freehand quilting are two tasks performed with the feed dogs either lowered beneath the throat plate or covered with a special plate that may have come with the machine. Putting feed dogs in the down position eliminates the machine's grip on the underside of the fabric, placing the craftsperson in full control of stitch length and position. That's a plus for freehand work but makes it difficult to sew a straight line of consistent stitches. Every sewing machine and brand of machine uses a different method to move the feed dogs up and down. Most contemporary sewing machines have a switch that lowers the feed dogs. Some older machines have a plate that is used to cover the feed dogs. Some quilters use plastic or even playing cards to cover feed dogs that cannot be lowered. Refer to your sewing machine's manual if you are not sure how to lower the feed dogs. If you do not have a manual for your sewing machine, it may be available online. Type your machine's brand name and model number into a search engine to find the manufacturer's website and other destinations that may be of help. Quilters often use a darning foot for free motion machine quilting and embroidery. These feet look a bit different depending on the brand of machine, but typically have a circular opening at their base. Specialized feet are available and, usually, have a larger opening than those found on a regular darning foot. Bernina's Stitch Regulator is a computerized darning-like foot that takes control of the stitches to help quilters produce consistent stitch lengths when free motion quilting, even though feed dogs are lowered. The world of machine quilting is changing rapidly, with lots of new tools introduced every year. 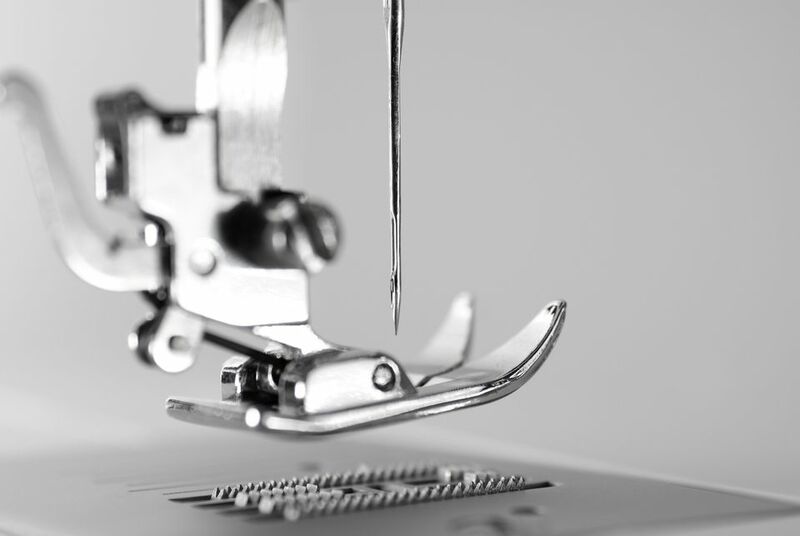 Check your machine brand to see if new tools are available for your sewing machine and are sure to look at the generic options that are made to fit many sewing systems. Do Some Presser Feet Have Feed Dogs? A walking foot, also known an even feed presser foot, has built-in feed dogs at its base and is helpful when sewing multiple layers of fabric. The foot's feed dogs move the upper layer of fabric through the machine at the same rate as the machine's feed dogs advance the lower layer, preventing the layers from shifting. A walking foot can be used for any type of sewing but is especially helpful for straight line machine quilting, sewing gentle machine quilted curves, sewing binding around the edges of a quilt, and when sewing any other project that's made with multiple layers or heavy cloth, such as rag quilts and denim quilts.